In the tradition of The Devil Wears Prada comes Rosie Nixon’s debut novel, which follows a young woman who is thrown into the fast-paced world of fashion and glamour as she’s forced to navigate the treacherous Hollywood red carpets…while finding a fairytale love of her own. Amber Green loves working at Smith’s, London’s ultra-exclusive boutique frequented by everyone who’s anyone, including Mona Armstrong, the stylist to the stars. She is fierce, demanding, and can make or break a career with a snap of her manicured nails. When Mona’s latest assistant walks out and with awards season arriving faster than you can say “Rodeo Drive”, Amber finds herself agreeing to work for one of the most infamous—and volatile—women in Hollywood. And the stars aren’t much better. Amber’s life is turned inside out as she becomes familiar with all Hollywood has to offer, on and off the red carpet. Thank you, TLC Book Tours and William Morrow Books for gifting me a copy of this book, and for having me on the Blog Tour. Below is my honest review, and all opinions are my own. MY REVIEW- I rate this book a 3 out of 5 Stars. Sometimes, you just need a book like this in your life, especially if what you typically read is dark, and heavy. This is the kind of book that will make you smile, and life your spirits. This book was funny, and sassy, it made me laugh several times. I find it pretty amazing that this is a debut, and I think this book is going to do well in the Romance/Contemporary Book market! I know several people who either want it, or have already read and loved it. To compare it to the Devil Wears Prada is very accurate, and I love that movie and book. I am so happy that I enjoyed this book. I love the Cleverness, and Snarkiness of Mona. I appreciated that she appeared to be a snob, but she also had a softer side of her. Very cute book, and I am glad I got to read this one. Rosie Nixon is Editor-in-Chief of HELLO! where she has worked for the past eight years and has a love of all things celebrity, royal and fashion-related. 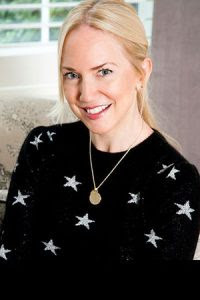 Rosie previously held senior positions at glossy women’s magazines including Grazia, Glamour and Red. In her career she has been lucky enough to attend a multitude of glamorous award ceremonies, premieres and showbiz weddings all around the world. Ever discreet and protective of the big stars she has worked with, Rosie’s experience has undoubtedly enabled her to write her debut novel, The Stylist, and the sequel, Amber Green Takes Manhattan.